The World Health Organization (WHO) recognizes over 150 primary immunodeficiencies including X-Linked Agammaglobulinemia (Bruton’s Disease), Common Variable Immunodeficiency (also called Hypogammaglobulinemia), Selective IgA Deficiency, and Severe Combined Immunodeficiency (boy-in-the-bubble disease). Some disorders such as Selective IgA Deficiency can be quite common, occurring as often as 1/500 to 1/1000 individuals. Others may be as rare as 1 individual affected per million. Untreated primary immune deficiencies are characterized by frequent, some times life-threatening infections and debilitating illnesses. Because of advances in medical understanding and treatment of primary immunodeficiency diseases, many patients who in the past would not have survived childhood are now able to live nearly normal lives. 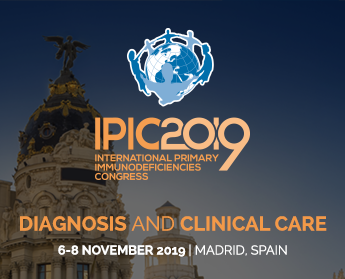 Most primary immunodeficient patients require life long therapies including intravenous gammaglobulin infusion, aggressive antibiotic therapies, or bone marrow transplantation. Phagocytic disorders (such as chronic granulomatous disease) and Complement disorders (such as C2 deficiency and C3 deficiency). Diseases with recurrent fever and inflammatory manifestations. Secondary immunodeficiencies result from environmental factors, some therapies etc. One example is the Acquired Immune Deficiency Syndrome (AIDS), which is caused by the HIV virus. Other immunodeficiency diseases occur or are acquired as the result of having cancer, severe nutritional disorders, burns, infections, exposure to radiation or organ transplantation. This is a list of primary immunodeficiencies. It is by far not complete as WHO lists over 150 different diagnoses.